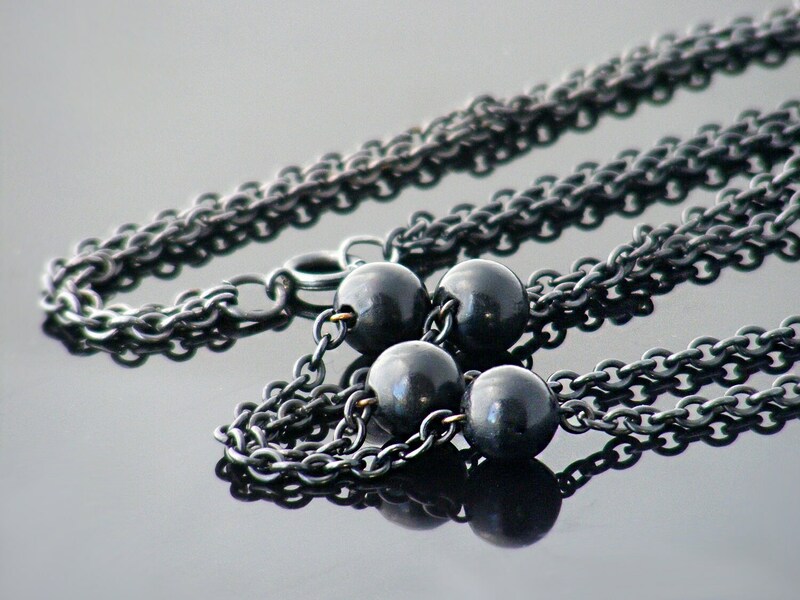 A superb Edwardian guard chain made in gunmetal black with graduating black bead station links adding texture and interest. 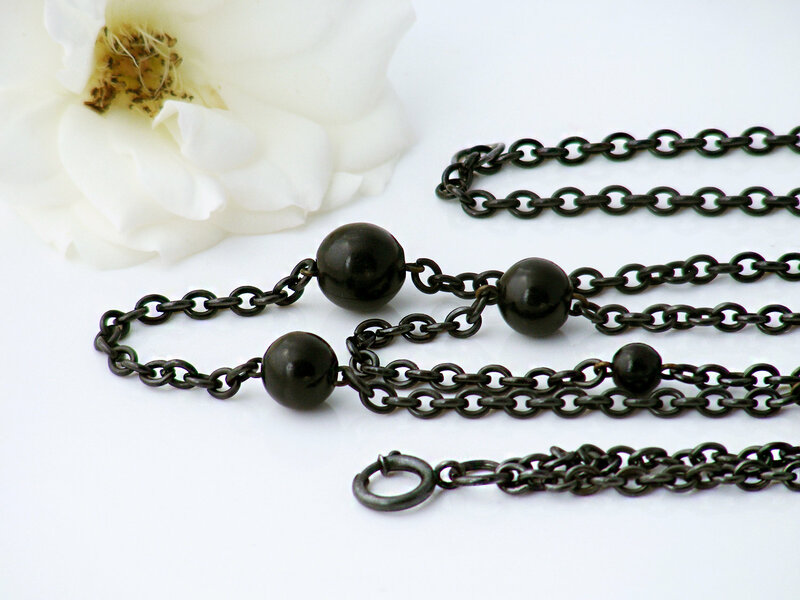 The extra long chain has its original black clip - great for a locket or pendant and long enough to easily be doubled over as shown in the images. 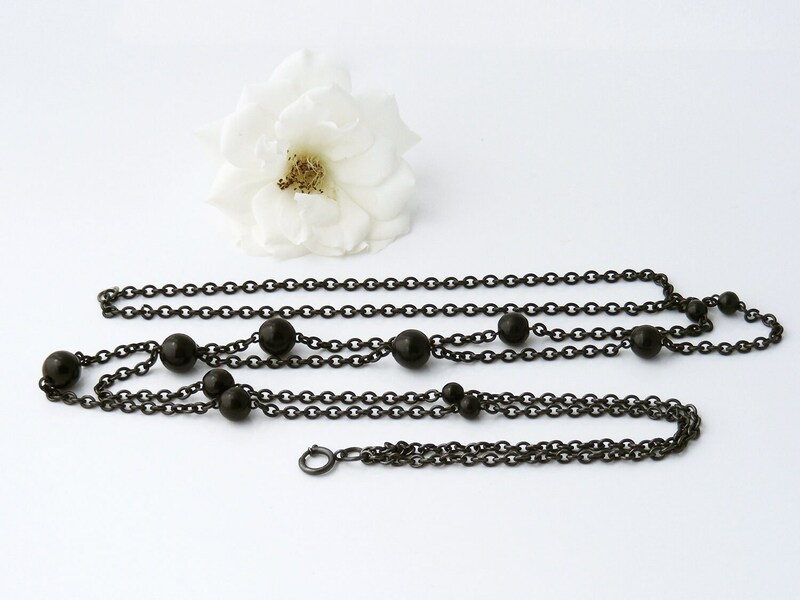 The chain is made from gunmetal black steel with a matching clip. 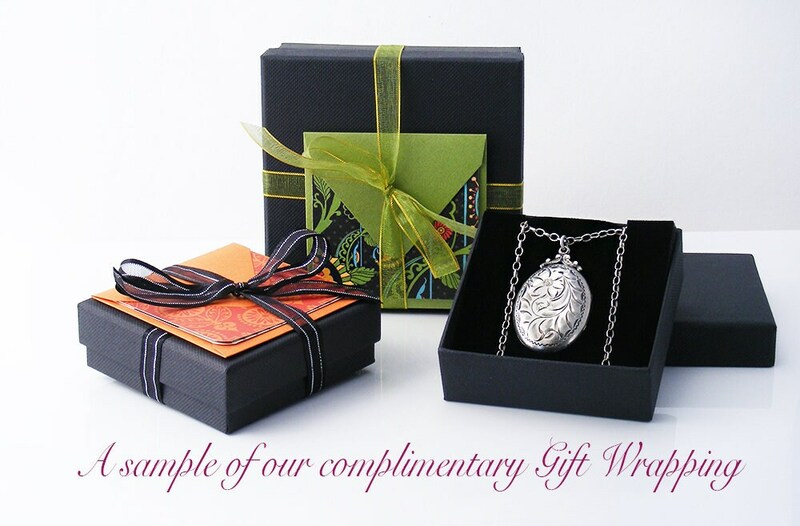 There is no clasp, the chain slips over the head and the fob clip is sliding. Note: A (closed) ring has been added at the halfway point, allowing the chain to easily be doubled. Images show a life size torso, single and doubled over. 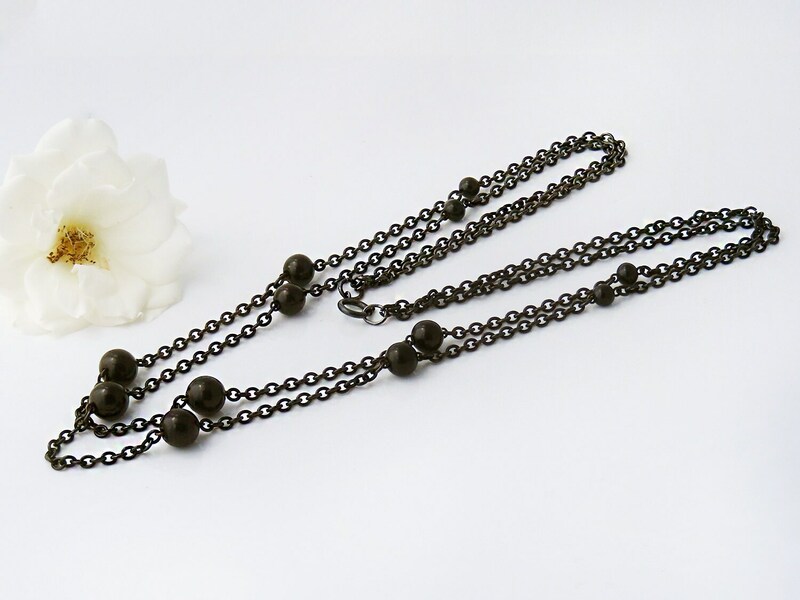 The black beads graduate in size and are made from an early celluloid. The chain is 60 inches or 1.52 metres long, 4mm wide with the bead links in threes sizes, graduating through 6, 8 and 11mm in size. Images show the chain single and tripled over. Excellent. No issues at all - a strong and useful chain and clip. 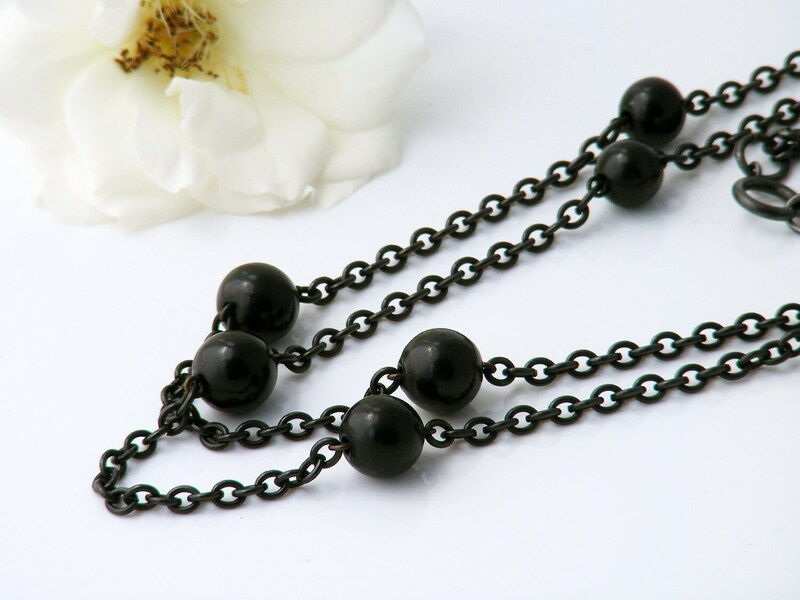 Just nicely dramatic in black with the bead links adding subtle interest - a gorgeous old chain.